The History of the Celebration Singers and how they progressed through the years until now. The main community website for Union County, NJ - get connected! The Celebration Singers are multi-generational ambassadors of song drawing music from a breadth of genres and cultures. The Choir's commitment to artistic excellence and its engaging and dynamic style provide its diverse singers and audiences with a compelling musical experience. Through music education, skill development and social interaction, the Choir offers its adult and youth members opportunities for personal growth and self expression. The Choir lends support through music and participates in the cultural life of the community. Thank you to all of our family, friends and patrons of the arts for your continued support! 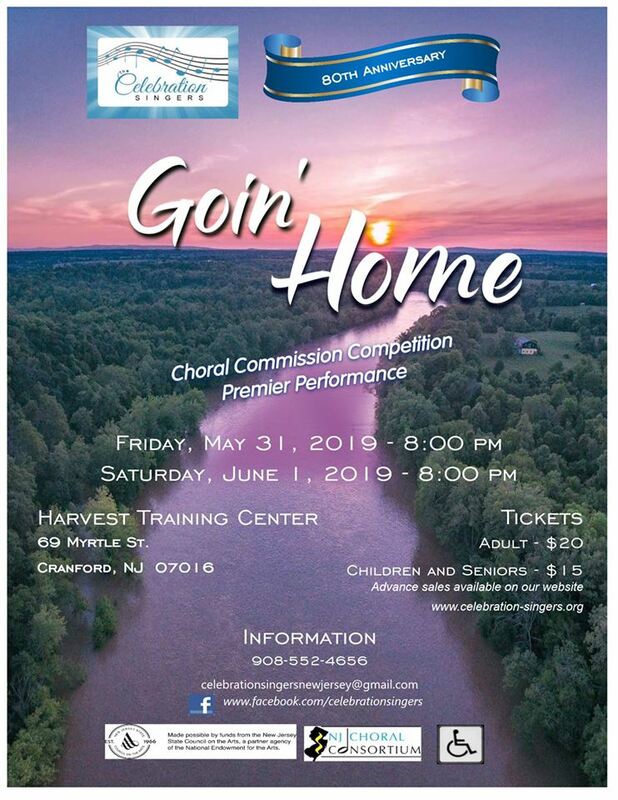 Each season, the Celebration Singers publish a program booklet containing various ads advertising local businesses, organizations or events… or telling a family member just how proud they have made you! We also have opportunities for sponsorship. See our Calendar of Events for all details for upcoming auditions and shows! 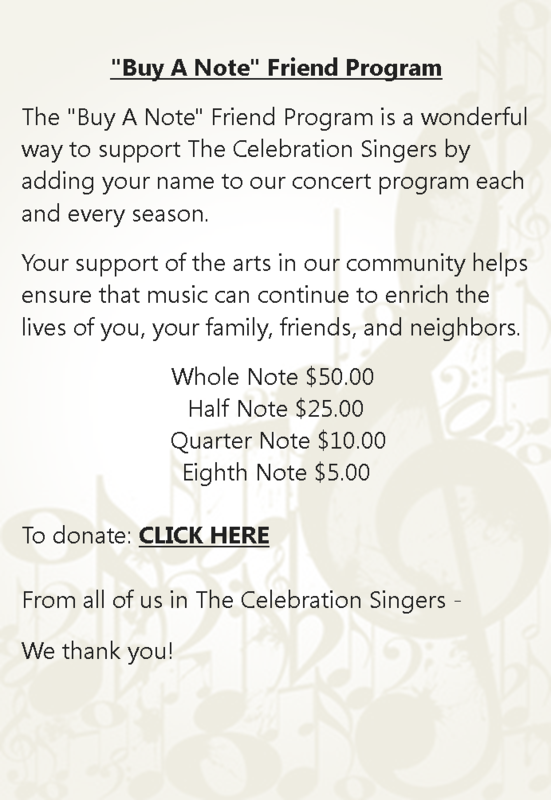 Raise money for The Celebration Singers just by searching the web and shopping online!